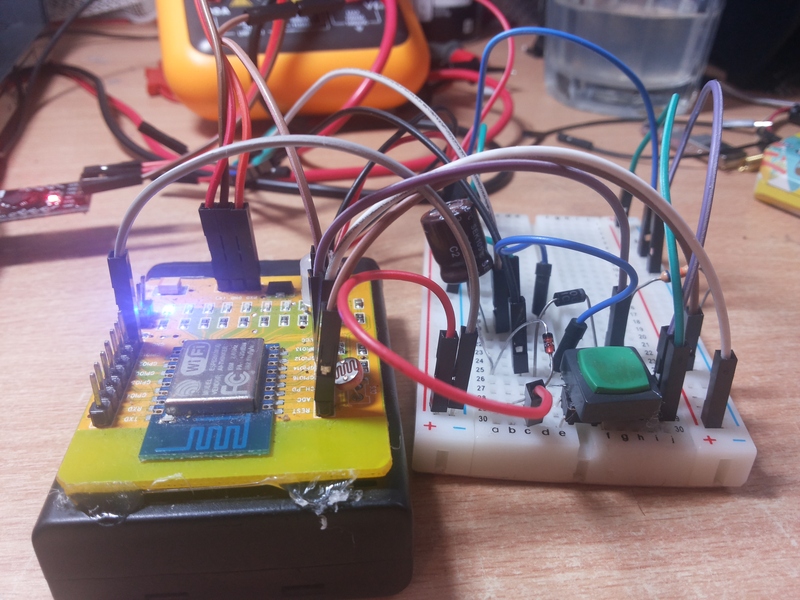 Gem has implemented MQTT client that sends its state to a base station(access point running Linux and MQTT) when it detects a button press and periodically(every hour) to make sure everything is in working order. When active ESP will consume around 80 mA, and in deepsleep around 80uA. 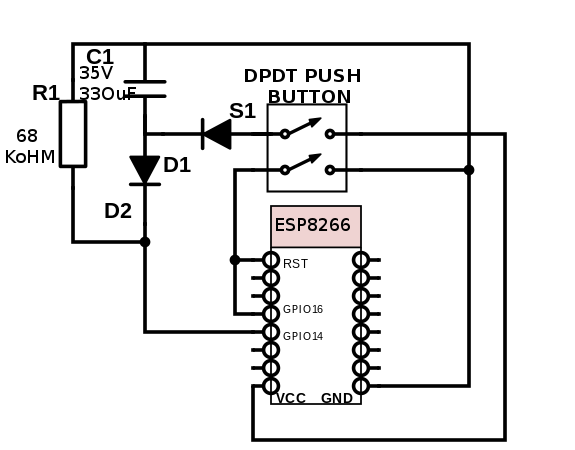 The circuit is designed to hold voltage level for digitalRead HIGH on panicPin after button press and is needed to distinguish between waking up on timer and button press. 1. Flash OpenWrt on the device and enable extroot. 4. ignore last two steps and make it all work with python. I’ll keep you posted!